Over at Mokara Hotel & Spa, TJ Longoria was thinking of his favorite campfire snack while creating his Brandy Alexander variation. “Who doesn’t love a s’more?,” said Longoria. Can’t argue with that logic. 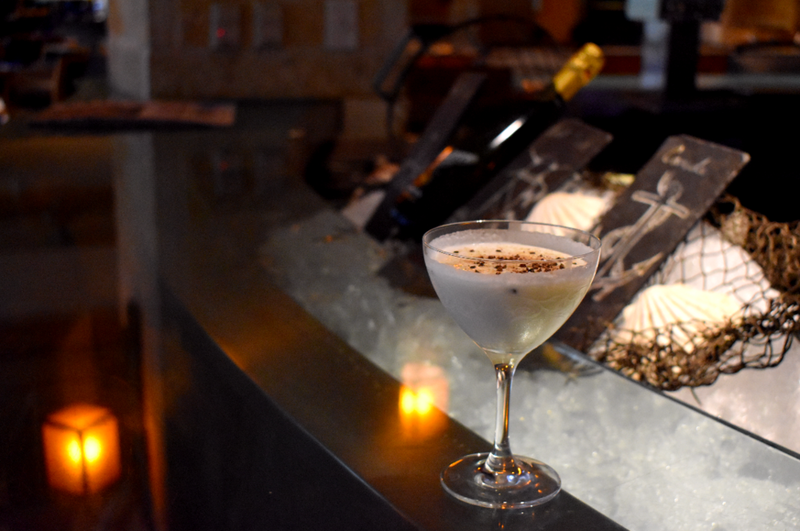 Longoria, who has spent tiem at Jazz, TX, Cured, Bar 1919 and now Ostra, tweaked the original recipe by adding a hint of agave, and a hazelnut touch. It’ll keep you warm, that’s for sure. Combine Kinsman Rakia, and other ingredients in a shaking in. Add ice and shake at length, like you mean it. Strain into martini glass and top with graham cracker crumbs and smashed cacao nibs.